The parish was in the Spilsby sub-district of the Spilsby Registration District. You can also perform a more selective search for churches in the Great Steeping area or see them printed on a map. 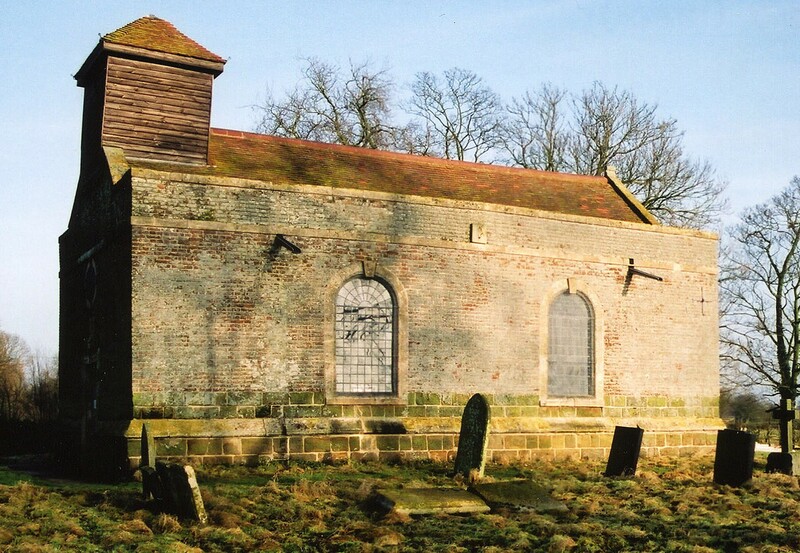 The church was partially rebuilt in 1748 and restored in 1908. A new All Saints Church was built in 1891 of red brick with stone facings. The Diocese of Lincoln declared this church redundant in August, 1973. The Anglican parish register dates from 1711. A Wesleyan Methodist chapel and a Baptist chapel were built here in the hamlet of Monksthorpe. David HITCHBORNE has a photograph of the Wesleyan Chapel on Geo-graph, taken in 2007. There is a list of Baptist ministers and burials for Monksthorpe. 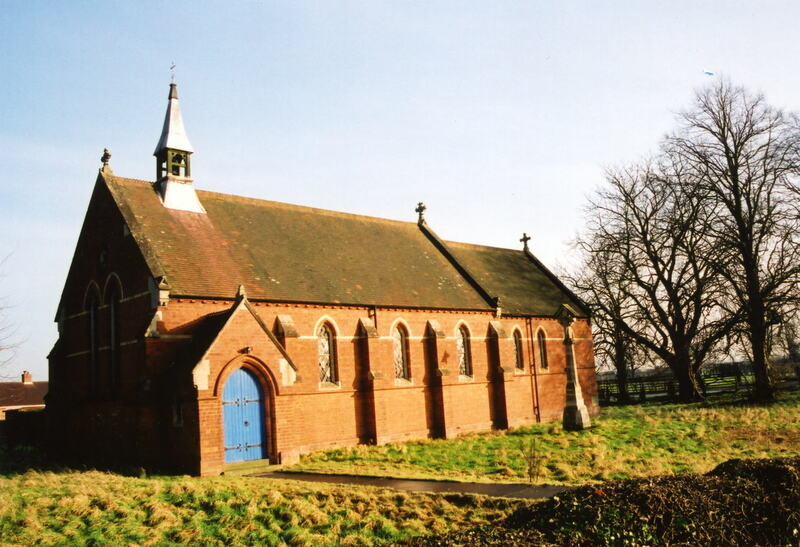 Richard CROFT has a photograph of the Baptist Chapel in Monksthorpe on Geo-graph, taken in 2009. Great Steeping is a parish 123 miles north of London, 3 miles east-south-east of Spilsby and west of Skegness. Halton Holgate parish lies to the west. The parish includes the hamlet of Monksthorpe and covers about 1,750 acres. Take the B1195 trunk road east out of Spilsby. Ask for a calculation of the distance from Great Steeping to another place. You can see the administrative areas in which Great Steeping has been placed at times in the past. Select one to see a link to a map of that particular area. David HITCHBORNE has a photograph of the War Memorial for World War I in the churchyard on Geo-graph, taken in 2004. The RAF built an airfield here during World War II and it opened for action on 20 Sept. 1943 as a satellite airfield to RAF East Kirkby. It soon became a full station in its own right under the name "RAF Spilsby". Wikipedia tells us that "In 1944 a Spilsby based 207 Squadron airman, Flying Officer Denys Street was one of the real escapees from the German prisoner of war camp Stalag Luft III and was one of the fifty executed by the Gestapo in the aftermath of the mass escape that was later filmed as The Great Escape." On the 10th of April, 1944, an accident in a fusing shed caused a 1,000 lb bomb to explode, killing 10 men. This incident is memorialized in the RAF Spilsby Memorial. Peter SKYNNER has a photograph of the RAF Spilsby Memorial on Geo-graph, taken in 2012. The memorial is located in Great Steeping at the site of a bomb dump. He also has a photograph of the Memorial plaque on Geo-graph, taken in 2012. The airfield was closed in 1946 and placed on "care and maintenance." The airfield saw some use in the Cold War period after the Korean War, but was eventually torn up in the late 1970s. For a close-up of the Great Steeping War Memorial and a list of the names from WWI, see the Roll of Honour site. Kelly's 1900 Directory of Lincolnshire lists the parish, perhaps erroneously, as being in the South Lindsey division of the county. A Public Elementary School was built here in 1859 to hold 60 students. The parish formed a school board in August, 1876.